Insurance. Just saying the word can raise your blood pressure and unless you’ve been residing under a rock, you should know that a rise in blood pressure is bad news! Imagine having to visit a doctor to receive the official notice of high blood pressure and then walking to the desk as the visit closes without the benefit of having insurance to help cover the cost of the visit and whatever treatment your condition requires. Your blood pressure probably just spiked even thinking about the negative ramifications of such a visit. Now think about having to face such a scenario each and every time medical attention or consultation is needed. Such is a daily fact in the life for many people who work at home. So far for me it’s not been much of an issue because my husband’s job provides us with family insurance, even if our costs do continue to spike. One year everything doubled from our copay to our prescription coverage. But I can’t imagine having to get medical attention, dental care, and vision care without us having that coverage. As a 1099-er, I’m not provided group coverage and neither are thousands of others who work at home whether they’re self-employed or employed by one of the many small, privately-owned businesses that struggle to keep the United States economy afloat. While working outside of the cubicle does have a lot of benefits, insurance coverage is not usually one of them. As if working without the safety net of surrounding employee knowledge is not a scary enough proposition, consider attempting to navigate the world of individual health care insurance on your own. You ARE your human resources department and if you simply have no access to a company provided insurance plan, you must choose to live dangerously on the edge and take your chances or start looking. Unfortunately, the simple act of locating and researching available policies can take a huge effort and expansive knowledge. Fortunately, there are companies who make comparison shopping of individual health insurance available. Health Benefits Direct is one such company, as is GoHealth Insurance and eHealth Insurance. If you’re not currently covered, those are definitely great places to start comparing health insurance information and policies. How these companies offers such a variety becomes evident when you take a minute to look at the carriers each company markets. At Health Benefits Direct, several big names, such as Aetna, Assurant Health, Humana, Pacific Care, and United Healthcare, are among the participants in the health insurance category. AIG and Colorado Bankers Life are companies whose plans are marketed in the term life section. Health Plan Administrators offers dental insurance, while HTH Worldwide offers travel health insurance. With such a varied marketing effort, you should be able to get which ever insurance your particular circumstance demands… and good news, it’s easy to apply. Just remember as you navigate the sites and receive quotes that help is available online or via phone, generally from licensed insurance agents, while you’re researching and comparing quotes. Whatever circumstances have brought you to your search for individual, family, or small business health insurance coverage, take a deep breathe to keep your blood pressure as low as possible and look into comparing available coverages from sites like those I’ve noted here. Maybe after your new insurance card is safely tucked away in your wallet, waiting patiently for your next trip to your doctor’s office, the simple word insurance won’t cause a spike in your blood pressure! Health Benefits Direct – Shop, compare, and apply for affordable health insurance, online or by phone, from multiple highly-rated insurance carriers with one call all from the comfort of your own home or office. Get health insurance quotes based on your particular needs. GoHealth Insurance – A direct approach to health and wellness, provides an online resource for comparing health insurance options online. You’ll also find educational tools to help you understand the world of healthcare. EHealth Insurance – Founded in 1997, its technology was responsible for the nation’s first Internet-based sale of a health insurance policy. Side by side comparisons of individual, family, or small business health insurance and the best medical insurance plans for your needs and budget. For those without insurance finding health insurance can be an arduous process. 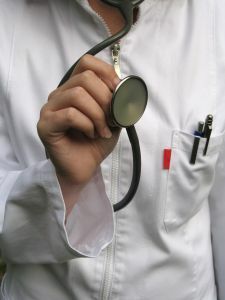 If you are without insurance or you are under-insured, getting preventive health care can be difficult. One option is to look into using FDA-approved home health tests as they may be more affordable than traditional testing and the results can be shared with your regular doctor. For those that opt for high-deductible health care plans and have a health savings account then HSAeducator.com may be a place to find help with the spending accounts. This latest issue with Daniel having appendicitis has me pretty much a nervous wreck. We don’t have insurance, so i’m looking at 2 emergency room fee’s, charges for a cat scan, the radiologists time, the doctors, a surgeon’s fee’s, a hospital stay, the ambulance ride………..etc….I figure it’ll take me roughly 10 years to pay it. On the upside, the new job starts soon and the extra cash will make it possible to get insurance for future emergencies. I’m not even relishing looking for it though. BLECH! Thank you for all the great information. I’m sure as we move into the future fewer employers will offer this benefit to save on costs. The self-employeed need this type of information, and from a reliable source! This is off topic, but I hope you don’t mind me saying this here. It is so difficult sometimes to get the advantage of telecommuting even one day per week, even if you have a job that is perfectly suited for offsite access. In my case, me and my team do all our work on web-based systems which are easily accessible from anywhere in the world. Our job does entail a little client interaction (our client is a Fortune 50 company) and there is a requirement that someone (not everyone) be in the office between the hours of eight and five to answer the phone, but there is little benefit derived from everyone coming in the office every day. Yet our current and previous managers have done everything to frustrate the analysts’ attempts to start a telecommuting program. First they told us we couldn’t do it because the client didn’t like it. That turned out to be not true. Then they said we couldn’t afford to get laptops. Later, it turned out our business unit had over 100 unused laptops sitting around collecting dust. Now, they’ve ordered laptops because it is part of our Disaster Recovery plan but are simultaneously trying to scare us from taking the laptops home, throwing out the specter of our houses getting robbed and then having them stolen. The truth is, they don’t like telecommuting themselves and I believe they both are/were micromanagers. Both the current and former manager want the comfort of knowing that they can view what everyone is doing all hours of the day. They won’t come out and say they don’t trust us: It will always be some bogus technical or political reason that kills the program. And the irony is, that my company overall is pushing telecommute programs as a way to cut costs and retain employees. I haven’t given up yet; logic may yet win the day. Keep your fingers crossed for me! Miguel – it’s off topic for health insurance, but it’s right on the money for this blog! I think you are experiencing the same situation that many others face every day. Change is a difficult thing, particularly to management that can’t seem to wrap their heads around the idea of having employees work out of sight, despite the facts, figures, and surveys that conclude that productivity actually tends to increase with telecommuters who take advantage of such program offerings. Employee retention is greater and it’s generally a win/win/win situation for everyone involved. I will keep my fingers crossed for you. There’s always hope. If you love what you do – keep pushing for flexible work solutions. Maybe they’ll start drinking their own Kool-Aid and realize that instituting a telecommuting program really IS a great way to cut costs and retain employees. Darn, Nessa. That’s just scary (on many fronts). I’m always looking at our insurance costs and comparing what we pay through his work with what else might be available out there. Although my BH’s insurance covers us now, no job is a certainty these days. They’ve just laid off I don’t know how many and there’s never any guarantee, especially in today’s economy.